In Northern Ireland there are maybe a handful of places that come to mind when you talk about true luxury and I am very grateful that the best of the best of those is right on my doorstep. I am talking, of course, about Galgorm Resort & Spa. Coming from Antrim, the Galgorm was the place to be. I've been to several weddings there, I even went to my 6th form formal there - I guess the younguns would call it Prom now, eh? But in all these years of living literally twenty minutes away I have never had the chance to enjoy their infamous spa facilities. All that changed when I was invited to attend the launch of the newly refurbished Spa at Galgorm. What I didn't realise was that not only would we be getting to SEE the new facilities we were also getting the chance to TRY them! I think you can imagine my face when I realised that I was throughly unprepared, without a swimsuit; but did that stop me? Not a jot! So as you read through the rest of this article I want you to be keenly aware that I, and some of my likewise unprepared companions, are hoolying around the Galgorm in our underwear with only a giant fluffy dressing gown protecting our modesties. The sheer size of it! I've been to plenty of spas over the past few years in an effort to encourage a sense of wellbeing and mindfulness within myself and no matter where they are on the price point they tend to involve the same three of four features: A Jacuzzi/Hot Tub, A Sauna, A Steam Room, and occasionally access to a full size swimming pool. Galgorm has at least three of each. AT LEAST. And they all have different features and benefits; whether you want to watch the river rush by from one of the riverside tubs or enjoy a Celtic sauna there are plenty of options and each one has its own unique features. Their new Elements Cafe (the dome on the left) is one of only 6 buildings in the world with this type of acoustically perfect structure and, as well as being architecturally beautiful, also serves up some pretty delicious food and drink. 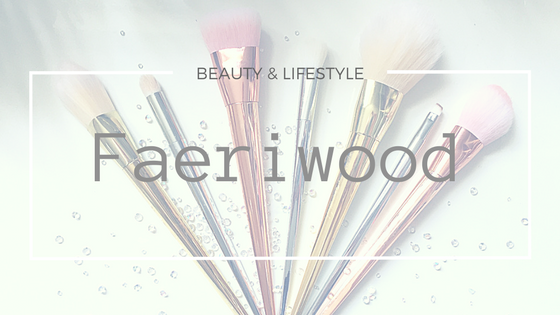 I quite regularly mention price per use when I'm talking about high end products on Faeriwood, well if we're talking price per facility then Galgorm has every other spa in the country beat, hands down. Their exclusive BioEffects spa treatments. While we were at the launch night we received a demonstration of their new BioEffect UK facials. This Icelandic brand is only featured in the top clinics and retail outlets - think Liberty London, Harrods, Selfridges London - and Galgorm is their first foray in to the Irish/Northern Irish market where they expect to stay exclusively. Their pride and joy is an EGF activated serum and when you book in for their salon treatments you can be confident that the products being used are 50% stronger than their retail counterparts. Trust me, I've seen it first hand, it feels amazing and the results are instant! Perfect for those of us with serious anti-aging thoughts on their mind. They have a snow cabin! Do you want to build a snowman? Many spas I've been to come with some kind of cooling down options, whether a dip pool or a sink full of ice chips, Galgorm has an actual cabin filled with snow. Ok so you won't literally be building snowmen or engaging in snowball fights but the thrill of walking in to a snow filled ice box is brilliant and of course comes with all the same brightening and tightening benefits you'd receive from that dip pool but ultimately is a more fun experience. They always have seasonal deals on. Ok I'll admit it, I have always been nervous about the price of Galgorm. As I've mentioned my experiences of spas in the past have always had the usual 4 facilities and even in the nicest surroundings I always thought that the higher end ones just weren't worth the price for such a limited selection. As you've seen above, Galgorm is on another level and I will happily eat my words and say that it is throughly worth the money - I have already organised with my fellow NI Blogger friends to book in for an overnight stay during October/November. We are going for the Destination Deluxe offer for 79.00pp but we seriously considered the 1 night autumn escape for 105.00pp - I will always choose an afternoon tea given the chance. If you haven't already been convinced to book in then maybe the promise of free goodies will entice you. The generous folks at Galgorm have offered our readers a free Prosecco and Spa Gift when you book in for any 90 Minute treatment. The offer is available through October and November when you quote "Spa September Bloggers" at booking. To book you can contact the lovely Louise (email link). I want to say thank you to Kim and the staff at Galgorm for hosting and to Jane & Juliett from Scarlett PR for inviting me. The evening was a wonderful surprise and has gone down as one my favourite experiences as a blogger. It looks absolutely amazing and I loved watching all the Instagram and Snapchat stories of you girls! The snow room looks absolutely magical and all the treatments seem amazing as well! Maybe I'll have to look into popping up and getting a wee relaxing treatment myself!